Bunting’s hockey career has had some bumps in the road. 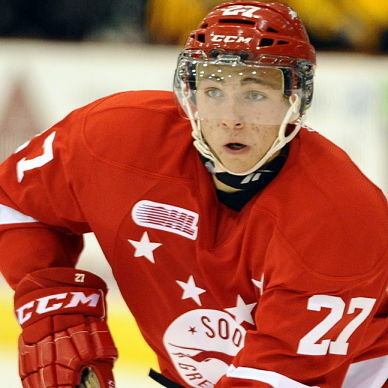 After being passed over in the OHL draft in consecutive years, Bunting finally caught on with the Soo Greyhounds. A big riser as a rookie this year, Bunting has overcome an MCL injury in time to return for playoffs were he has continued his strong play. During the regular season, Bunting finished with 39 points (14+25) in 45 games.